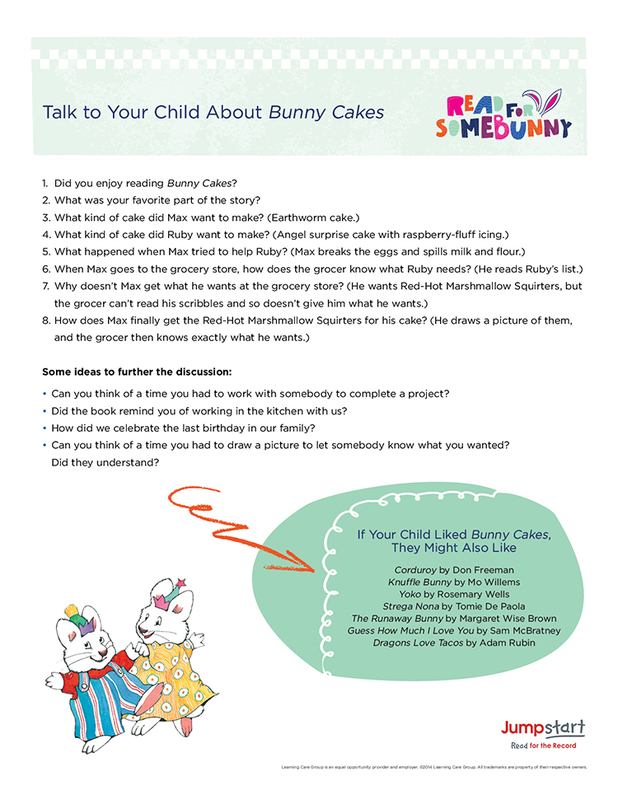 These eight reader response questions are a fun way to interact with your little ones after they read “Bunny Cakes” in our schools today for Read for the Record Day! We also included suggestions for additional books that your kiddos might enjoy if they loved reading “Bunny Cakes”! Click the image below to view the PDF. For more exciting educational activities, check out the Learning Activities tab on our blog!